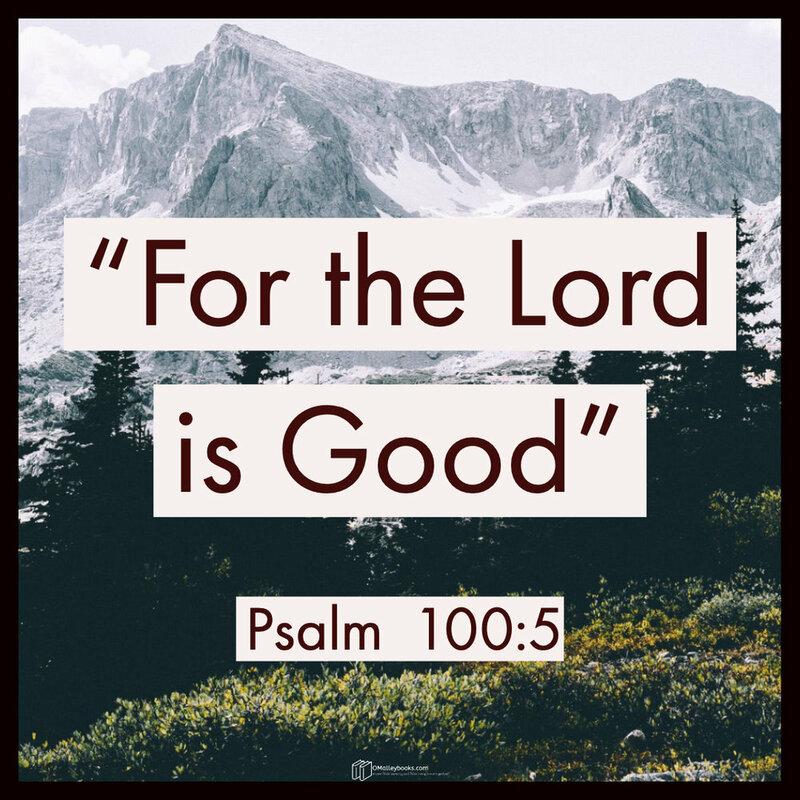 “For the Lord is good…” (Psalm 100:5). How many times have you needed a service performed in your life and sought an estimate? First, you have to find a provider of that service. Then you must find out the price. You may read reviews online, ask some trusted friends, and ask how long the vendor has been in business. You may gain confidence in a service provider with each mention of a friend, review you read, and advertisement you see. These all help you gain confidence in the service provider for your need. As in the illustration above, when we want a service performed we seek an estimation of both a vendor and his service reliability. The psalmist gives us his estimation of both the person and perception of the Lord: “the Lord is good.” The psalmist speaks from his experience with God. His opinion is not just subjective. He writes with authority as God inspired him to write these words. “The Lord is good.” What confirmation! What consolation! What comfort! The psalmist, in our focus phrase, invokes the name of God that makes us think of God’s self-existing eternal state of being. Notice the spelling of the word, “Lord.” Do you see the capital letters? The word’s meaning has to do with Him being self-existing. The God who has always been and will always be is the Lord that is good. This is the same word God used to introduce Himself to Moses in Exodus 6:2-3. We considered the psalmist’s estimation of the person of God. Now, we should consider the psalmist’s estimation of God’s quality. The psalmist estimates the value of God as good. Good does not seem high enough to describe God. When compared to modern adjectives, “good” seems inadequate. When David used this word, he used it in the sense that he estimated God as the best. He valued Him as beautiful and better. He knew Him to be both fair and the finest. He is God. Using the word “good” is the highest estimation He could give to He who is altogether lovely. David’s estimation of God is He is perfect. When we seek an estimate, we want to know the length the vendor has been in business. We want to know the quality of their work. We use these elements to determine whether we enlist them to help us. The psalmist’s words speak to these two elements of an estimation. The Lord has been in business since before time. The Lord is good! What is your estimation of God? Have you found Him good? He is always good. Try your estimation of God right now. Write down three ways you know God has been good to you and in the world at large.